NEW MODEL TOWN: Sikhism is the fifth largest religion in the world but "lack of initiative by the government" has urged a city-based numismatist to promote the religion by encouraging a sense of affection for Sikhs' way of life among young and old alike. Following his passion for Punjabi culture, Narinderpal Singh Panesar, who is all set to inaugurate a Sikh museum, organized an exhibition at Vivekanand Bhavan in New Model Town. The exhibits include relics and material related to the Sikh gurus, including their writings, coins, weapons and other material. "I organized this exhibition to support my dream of setting up a museum, where I can safeguard all the relics and material related to Sikh gurus. Government has failed to do anything in this regard, thus I have taken this initiative and now I plan to organize many such exhibitions in other cities as well," said the Gandhi Colony resident. Sukhwinder Singh, a businessman from Mumbai who visited the exhibition with a group of 15 friends, agreed that there is lack of general awareness and it is very important to educate the youth. "I was amazed to see Nanak Shahi and Gobind Shahi coins issued by Misls and Maharaja Ranjit Singh dating back to 18th century (1765-1849 AD)," he said. Impressed with a man's passion for his religion, Malkit Singh, a businessman and resident of Bhagwan Chowk, said, "It was a pleasure to see handwritten manuscripts in Gurmukhi, including Panj Granthi and Das Granthi, which are 200 to 250 years old. These have been written on hand-made paper with original binding made of leather etching with floral designs." Numismatist Narinderpal Panesar organized an exhibition at Vivekanand Bhavan to promote Sikhism. Malkit Singh, a businessman and resident of Bhagwan Chowk, said, "I loved the rich collection of weapons of Mughal and Sikh period, including swords and daggers, arrows shields and khanda." 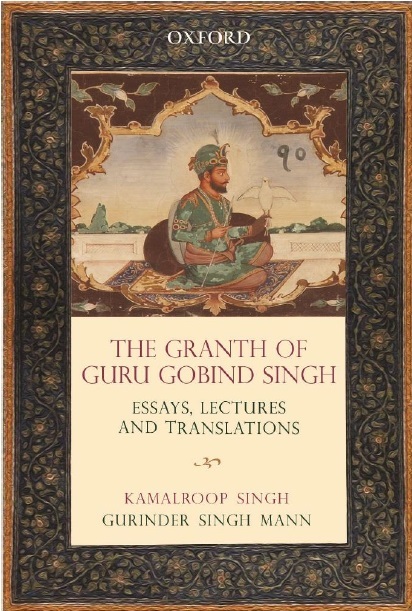 Arvinder Singh Kalra, who had come along with wife Seema to the exhibition, said, "I was amazed to see Ramayana, Bhagvad Gita, Hanuman Natak, Adhyatam Prakash Granth and Vishnu Puran written in Gurmukhi." Saranbir Sarna of New Model Town, said, "I am surprised that the govt. has done nothing to preserve these."